The biggest trend of 2017 so far has got to be fidget spinners. If you have kids, they probably have fidget spinners. You can buy them everywhere from the corner store to Amazon. 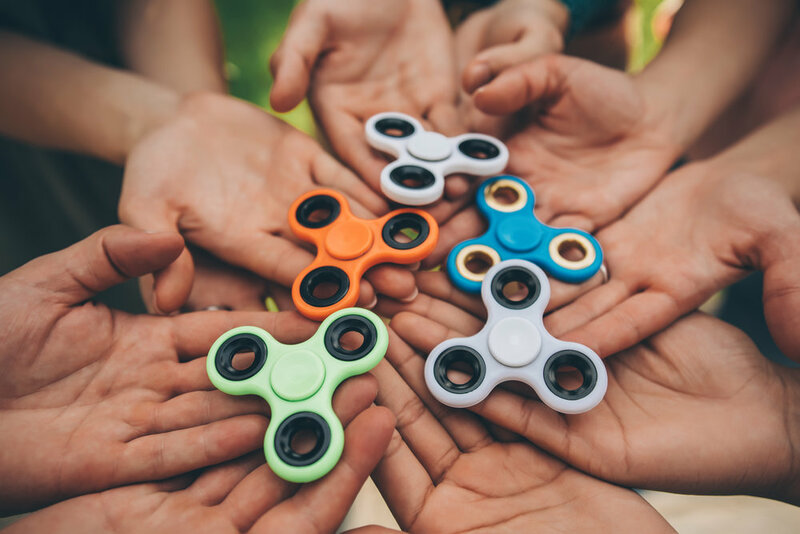 They come in a variety of shapes, colors, and styles, but the common theme of a ball-bearing device that spins and relieves stress has swept the nation. What can their meteoric rise tell us about the future of retail? How about inventory management and supply chain logistics? If you have kids, they probably have fidget spinners. Surprisingly, quite a bit. While the appeal of the fidget spinner lies partially in its stunning simplicity—it’s a little toy that spins, and that’s about it—it’s implications are more complex than you might imagine. If you’re just hearing about fidget spinners, you may already be too late. You can get your hands on one, of course—they’re still sold in a vast number of places. 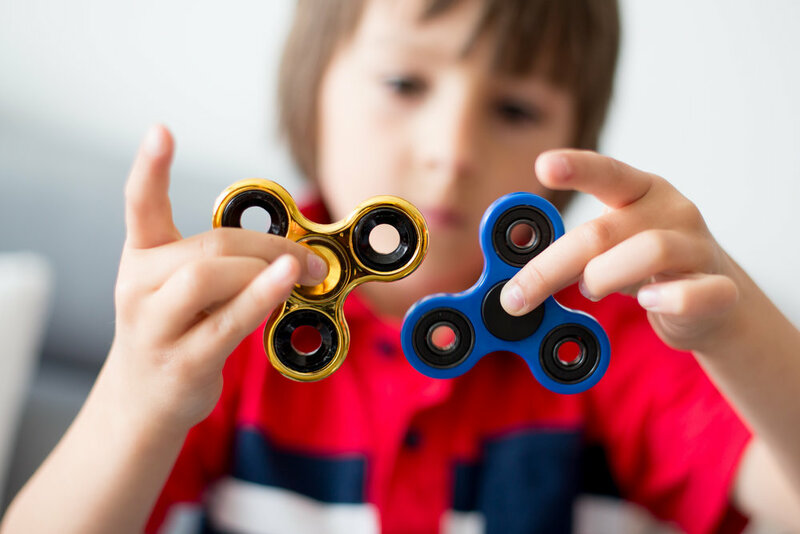 But their peak hip value seems to have already passed: An article in FiveThirtyEight shows how interest in fidget spinners reached an incredible high in mid-May, and has been trending downwards ever since. That’s the thing about flashy trends: They tend to rise and fall rather quickly. You might remember similar hype about Pokemon Go, and hoverboards, and even Furby and Tamagotchis, for you ‘90s kids out there. Which isn’t to say there wasn’t, and still isn’t, a legitimate boom around fidget spinners. In fact, Kim Kardashian just dropped a spinner of her own, which means you can expect the fad to continue for quite some time. But for those of us who aren’t style icons, it’s clear that the best time to get on the spinner train was April and May, not June, July, August, or the rest of the year. How Did They Become So Popular, So Fast? It’s hard to predict what will make an item, or even a meme, go viral. Suffice to say, few can predict it—but once there’s a trend, there are ways for certain manufacturers to exploit the popularity and turn a must-have item into one that’s easy to get. What’s most interesting about the rise of fidget spinners is that there was no one major retailer that debuted them and turned them into a household name. It’s not as though fidget spinners were created expressly by Amazon, or Wal-Mart, or Apple. The original fidget spinner was first developed in 1993, and this newest iteration went from unknown to insanely popular within the first few months of 2017. So how did fidget spinners rise from obscurity to take over every single spot on Amazon’s top 20 best sellers list for toys at one point? In each case, the Chinese supply chain spun into gear and flooded the market with product as soon as the trend emerged — and before big business could corner the market. Thanks to companies like Amazon, Alibaba, Facebook and Google, Chinese manufacturers can now reach American consumers without the traditional middlemen, and without the need for expensive advertising campaigns. That’s both an intriguing development and, as the article points out, a safety concern. Small sellers that sell directly to consumers via online marketplaces can effectively sidestep a lot of the consumer safety protections that, in years past, would prevent issues like exploding e-cigarettes or hoverboards. These manufacturers may not be familiar with, or overly concerned with, meeting product safety standards. They want to get their product out quickly to meet surging demand and worry about the potential consequences later. There’s little way to defend against that, since U.S. regulators don’t have oversight of foreign manufacturers. It will be up to the marketplaces like Amazon to monitor developments and remove sellers hawking defective products. What Does This Mean For American Businesses? 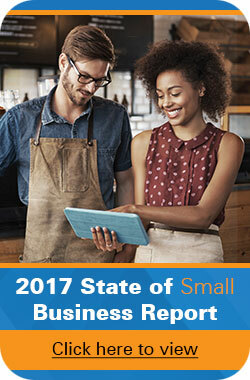 This new reality poses an interesting challenge for American small businesses and manufacturers. If you see the possibility of jumping on an emerging trend, you need to be fast in order to compete with foreign manufacturers. But you also need to be safe, and create products that can pass inspection. That means investing in an inventory management system you can trust. Right now, 43 percent of U.S. small businesses still either don’t use automated inventory management, or use a manual process to track their inventory, such as pen and paper. Inventory management software usually consists of a package of business applications that track, manage, and organize your inventory, from material purchases to product sales. Using this software, you can monitor the life of your inventory from the point where you order a new shipment of raw materials to when it’s delivered to your customer’s doorstep. Why is that important? You should be able to “pull,” not “push,” new inventory. You want to be able to assess supply and demand on the fly, and quickly (in fact, automatically) re-order new inventory when supply is low and demand is surging. Instead of wasting time with basic tracking, businesses are freed up to analyze their supply chain and identify inefficiencies in their supply chain, further reducing the time it takes to get products onto store shelves and into customer hands. The benefits of inventory management are two-fold: You not only want to be able to meet customer demand, but not find yourself up to your ears in product you can’t sell. Rather than ordering a ton of inventory blindly, software should help you balance your inventory turnover ratio, which will keep your supply steady and of a piece with your demand. Imagine if you identified the fidget spinner trend in May, and began pumping out your own spinner designs in June. But the highest point of the trend has already passed, so now you are left with thousands of extra fidget spinners with no demand. You’ll end up eating the carrying costs of inventory, and having to sell off your remaining product at a markdown, if at all. Additionally, inventory and supply chain management tools will keep your supply chain transparent. You’ll always have a handle on where your materials and inventory are coming from or passing through. This will help you adhere to safety precautions and ensure your products are not a danger to your consumers. Nothing will end the life of a business faster than a product that hurts customers. The takeaway here isn’t that you should or shouldn’t jump on the fidget spinner bandwagon. (If you do, good luck competing with the Chinese and with Kim K.) It’s that the next time you see yourself able to capitalize on an soon-to-explode trend, you should be able to do so quickly and safely, without putting your customers or your inventory management at risk. By moving to an automated model, you’ll reap the benefits without the drawbacks.